After continuing to get faster throughout the year, Danny Benedict was where he needed to be at the right time as he scored his first career Sauble Falls Tent and Trailer Park Limited Late Model victory. Ryan Kimball won the first heat ahead of Danny Benedict, Gord Shepherd, Rick Spencer-Walt, Dwayne Baker, Thayne Hallyburton, Paul Maltese, Bill Zardo Jr., and Terry Clodd. Nick Goetz won the second heat ahead of Travis Hallyburton, Tom Walters, Ernie Fumerton, Jordan Latimer, Paul Geniole Jr., Billy Zardo, and Mike Wilkinson. Thayne Hallyburton won the third heat ahead of Spencer-Walt, Shepherd, Kimball, Baker, Benedict, Maltese, Bill Zardo Jr., and Clodd. The fourth heat featured a pair of cautions, as Geniole went around on Lap 2 in turn four, followed by Fumerton spinning in turn two on Lap 4. Tom Walters picked up the win ahead of Latimer, Goetz, Travis Hallyburton, Geniole, Billy Zardo, Fumerton, Wilkinson, and Mike Weitz. Come feature time, Rick Spencer-Walt grabbed the early lead ahead of Gord Shepherd and Travis Hallyburton as Tom Walters and Ryan Kimball battled for fourth. Walters got the spot on Lap 3, bringing Jordan Latimer, and Thayne Hallyburton through with him, before the first caution waved. 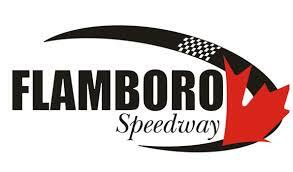 With 73 laps to go, Spencer-Walt led Shepherd, Travis Hallyburton, Walters, Latimer, Thayne Hallyburton, Kimball, Danny Benedict, Paul Geniole Jr, Ernie Fumerton, Billy Zardo, Dwayne Baker, Mike Wilkinson, Nick Goetz, and Lane Zardo. The restart saw Spencer-Walt and Shepherd battle for the lead as Travis Hallyburton and Walters battled for third. The racing remained close, as the top-12 found themselves side-by-side. Spencer-Walt would clear Shepherd for the lead on Lap 9, with Travis Hallyburton following him through two laps later. Latimer then got alongside Shepherd for third at Lap 11 ahead of Walters, Thayne Hallyburton, Kimball, and Geniole Jr. Shepherd would clear Latimer on Lap 14. At the front of the field, Shepherd began to move his way back to the front, getting back by Travis Hallyburton for second on Lap 17. Latimer then made his way by Hallyburton four laps later for third. Hallyburton now ran fourth ahead of Walters, Thayne Hallyburton, Geniole Jr., Benedict, Kimball, Goetz, Lane Zardo and Fumerton. The second caution then waved for Walters stopping in turn four on Lap 24. The restart saw another battle for the top spot between Shepherd and Spencer-Walt ahead of Latimer and Travis Hallyburton. Shepherd would clear Spencer-Walt on Lap 28 for the top spot as Latimer remained third ahead of Hallyburton, Geniole, and Thayne Hallyburton. Benedict then got alongside Thayne for sixth at Lap 30, as Travis Hallyburton got alongside Latimer for third. Travis Hallyburton would move up to third on Lap 32 ahead of Latimer, Goetz, Benedict, Thayne Hallyburton, Geniole Jr., Zardo, Baker, Kimball, Fumerton, and Wilkinson. Geniole then got alongside Latimer for fourth at Lap 37, completing the pass two laps later. However, that didn’t last for long as he’d go for the spin in turn two on Lap 40 for the third caution. The restart saw Shepherd and Spencer-Walt battle once again for the lead, with Shepherd keeping the top spot ahead of Spencer-Walt, as Benedict challenged him for second. Benedict would get the spot on Lap 45, bringing Travis Hallyburton through with him before the fourth caution came out for Fumerton spinning Latimer in turn four. With 30 laps to go, Shepherd led Benedict, Travis Hallyburton, Spencer-Walt, Goetz, Thayne Hallyburton, Baker, Lane Zardo, Wilkinson, Geniole Jr., Kimball, Morrow, Fumerton, Maltese, and Clodd. The restart would see Shepherd and Benedict battle for the top spot for three straight laps prior to the fifth caution for a stack-up in turn two involving Baker, Lane Zardo, and Kimball. Shepherd would grab the lead on the ensuing restart ahead of Benedict, as Spencer-Walt and Travis Hallyburton battled for third. Hallyburton would clear Spencer-Walt on Lap 51, just as the sixth caution flew for Geniole spinning Wilkinson. The restart saw another battle for the lead between Shepherd and Benedict, with Shepherd pulling ahead on Lap 55, as Hallyburton got alongside Benedict for second. Hallyburton cleared him, getting alongside Shepherd for the lead a lap later ahead of Benedict and Spencer-Walt. The battle for the lead wasn’t clean, as some bumping and three-wide action ensued, resulting in the top spot between a drag race between Benedict and Hallyburton at Lap 58. With 15 laps to go, Benedict cleared Hallyburton to take the top spot as Shepherd ran third ahead of Spencer-Walt, Thayne Hallyburton, and Goetz. Goetz then got alongside Thayne Hallyburton for fifth at Lap 62, completing the pass a lap later. Behind them, Kimball ran seventh ahead of Geniole, as Fumerton and Baker battled for ninth. Goetz continued to move forward, challenging Spencer-Walt for fourth at Lap 66 ahead of Thayne Hallyburton and Kimball as Baker got alongside Geniole for eighth. Goetz was able to move forward, taking the fourth spot with five laps to go as Hallyburton continued to run sixth ahead of Kimball, Geniole, Baker, Zardo, Wilkinson and Fumerton. Danny Benedict led the rest of the way en route to victory ahead of Travis Hallyburton, Gord Shepherd, Nick Goetz, and Rick Spencer-Walt. Thayne Hallyburton finished sixth ahead of Ryan Kimball, Paul Geniole Jr., Dwayne Baker, and Lane Zardo. Mike Wilkinson finished 11th, followed by Ernie Fumerton, Chris Morrow, Paul Maltese, and Terry Clodd. Jordan Latimer placed 16th, followed by Tom Walters, Billy Zardo, and Mike Wietz.